Welcome to THE BOB PAGE ! 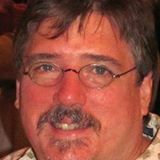 It all started a few years ago-- while I was a student at Catawba College taking a class in Internet / Web Design, I developed my own web site. It was a huge project-- the finished product was 25 pages long ! It included things like pictures, web links, and info about what was going on at the time. It got pretty crazy ! Some of my friends thought it was a pretty cool site. It was something that I enjoyed putting together. And now-- over 15 years later-- I'm creating it again-- hopefully this time, more permanently-- and for a wider audience. I have almost 1,000 Facebook friends now, along with accounts at Google+, Twitter, LinkedIn, and others. And I've got a few hobbies or business interests that I have to share and promote. I may be a bit biased, but I think that I have a lot of cool things to share with you-- so I hope you'll take a liking to this place and come back often to check it out!